Christine Ashton, Senior VP Technology opened the seminar by saying that “Technology is everywhere, in everything that we do”. She also said that more women are needed in technology and talked about her own career journey from creating programs to where she is today. 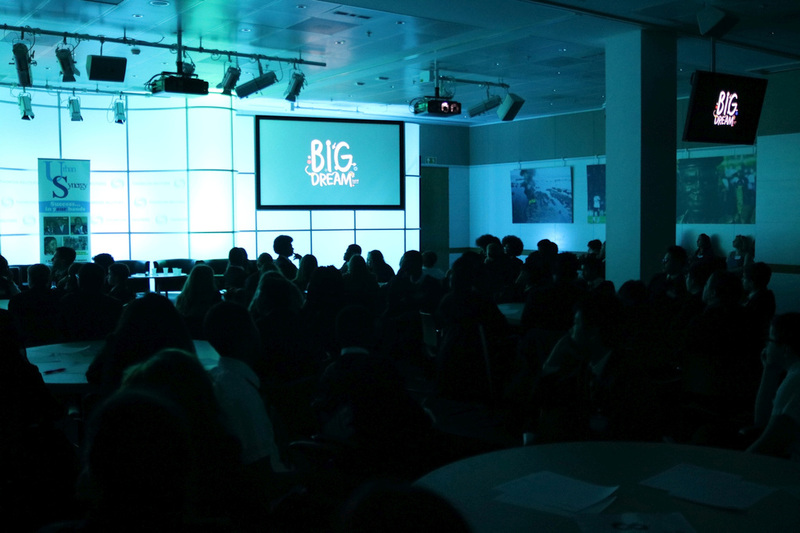 This was followed by a screening of Microsoft produced Big Dream, a short film following 7 young women breaking barriers and overcoming personal challenges to follow their passion in science, math, computing and engineering. The seminar focused on women working in STEM industries and the panel talked about the challenges they faced and overcame, what they like most about their jobs and the many opportunities available for young people interested in the STEM sector. The panelists were Sally Knight, IT Programme Manager, Jack Gunn, Apprentice Platforms Engineer, Kala Parameswaran, Technical Team Lead, John Lyons, VP, Data Center Operations and Kate Percival, Technical Lead. The seminar was facilitated by James Rule, Director of Culture and Effectiveness and Salimah Bah, a student from Deptford Green. Following the panel discussion students got the opportunity to ask more questions during a speed mentoring session with over 25 Thomson Reuters staff..
[quote cite=”Leila Thomas, founder Urban Synergy”]We think the seminar was a success in that students were able to attend a seminar that was STEM focused with no other distractions. Also coming to Thomson Reuters, which in itself was a refreshing environment for the students gave them a feel for an environment that they may work in the future. 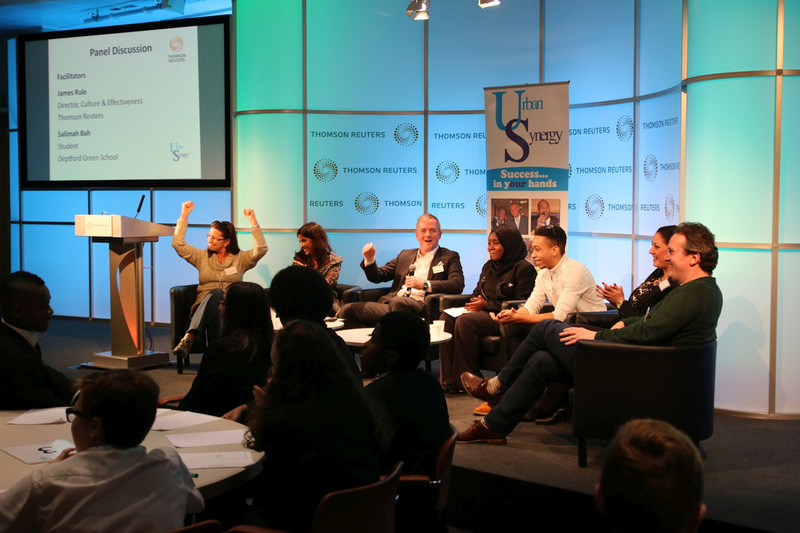 Our thanks to all the staff at Thomson Reuters who gave their time to share career insights to the students. [/quote] [quote cite=”Michael O’Keeffe”]The speakers were incredibly inspiring and engaged the students in a really positive way. Seeing women risen to such high positions in STEM careers really woke them up as to their full potential. Several of the students came to tell me how much they had enjoyed the day and everything they had got from it. Salimah Bah was delighted to ask questions to the panellists and did a fantastic job. [/quote] [quote cite=”Celine Nembhard, Careers at Deptford Green School”]Thank you so much for having our young people for the afternoon at Thomson Reuters and for your warm welcome.